This book examines the history of the Russian peoples from the time of the first inhabitants of "Old Russia", or "Rus", up to the present day. Robin Milner-Gulland is Professor of Russian and East European Studies at the University of Sussex. His previous works include Cultural Atlas of Russia (1985), An Introduction to Russian Art and Architecture with J. E. Bowlt, (1980), Russian Writing Today edited with M. Durhirst, (1974), as well as many translations and articles on literary and artistic topics. Introduction: Aims and Methods of the Book. 1. Rus as Land and People. 2. Rus as People and as State. 4. Let us Join Word to Word. 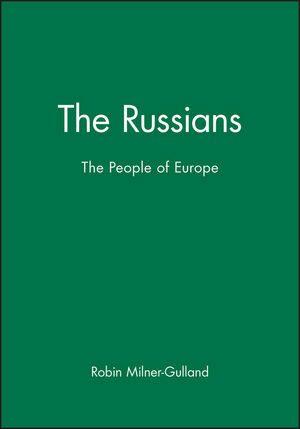 * The first concise cultural history of Russian people from origins onwards. * Author is a leading cultural historian of Russia. * Offers full discussion of Russian religion, culture and the arts. * Examines timely questions of ethnicity and identity.